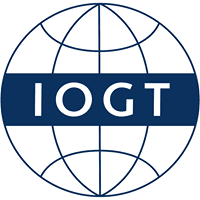 In Europe, the IOGT movement is represented through 44 Member Organizations in 20 countries. 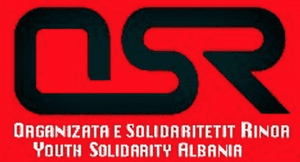 Youth Solidarity Albania (OSR) works to advance the health and wellbeing of young people. OSR also works to raise awareness of situation and improve the livelihoods of people living with disabilities. 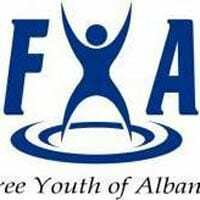 Free Youth Albania is an Albanian organization, whose aim is to promote a lifestyle free from alcohol and other drugs. FYA’s mission is to prevent and reduce the use of alcohol and other drugs in individuals, families and communities, for the benefit of everyone. Free Youth of Albania was founded in 2009, as a member of Active – sobriety, friendship and peace. Trezvennost-Optimalist is an independent NGO created on the basis of voluntary association of citizens for the promotion of a healthy lifestyle, as well as spiritual and physical recovery. Proslavi Oporavak (Celebrate Recovery) works to raise awareness in communities about the harmful effects of alcohol and other drugs and about the importance of addiction treatment. Celebrate Recovery promotes total recovery from substance use disorders and believes that addiction is a treatable disease that should be approached in a multidisciplinary way, both from the medical side, as well as the sociological and spiritual. 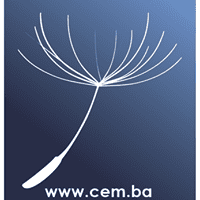 Centar za edukaciju mladih (CEM) was founded in 1998, dedicated to working with young people. CEM is a civil society organization, which operates on the territory of Bosnia and Herzegovina and in the region of Central Bosnia. CEM’s mission is to empower individuals, civil society organizations, public institutions and decision-makers, and to actively advocate for the creation and implementation of policies that protect the rights of young people, women and children. LINK is a Bosnian youth NGO, founded in 2005. LINK’s mission is to create and implement projects for the prevention of use of harmful substances, contributing to the improvement of mental health in the community, in cooperation with relevant government institutions and civil society organizations from the country and abroad. 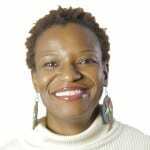 LINK’s work is conducted based on the principles of humanity, empathy and volunteerism. IOGT Denmark focuses on creating of alcohol free environments in clubs for recovering alcoholics. 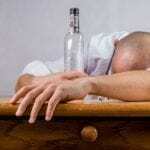 IOGT Denmark provides counseling and support services for anyone with alcohol problems. IOGT Denmark also works to promote alcohol-free social activites. IOGT Estonia promotes a lifestyle free from alcohol and other drugs through the example of their own members. 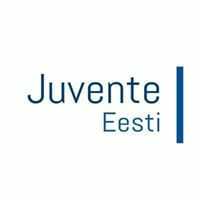 Juvente Estonia is a group of young people, who want to enjoy life free from alcohol, tobacco and other drugs. The core values of Juvente Estonia are sobriety, tolerance, international cooperation and civic initiative. Juvente Estonia offers various educational seminars and leisure time activities for its members in a sober and supportive environment. We support the right of diversity, self-expression, liberty for people and every individual, democracy at all levels of society and the opportunity for every citizen to actively participate in decision-making processes and freely express their opinions. Juvente Estonia is a non-governmental oranisation gathering people who want to be active on local and international level and want to bring positive change to the society through their actions. Our international activities mostly draw on different projects and co-operation with other NGOs. 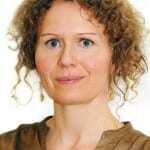 IOGT Faroe Islands promotes a lifestyle free from alcohol and other drugs through the example of their own members. Juvente Finland is an NGO for young people who are all about promoting a sober lifestyle of civic participation and community engagement. IOGT Finland promotes a lifestyle free from alcohol and other drugs through the example of their own members. Friends of Temperance in Finland promotes a lifestyle free from alcohol and other drugs through the example of their own members. Founded in 1853, Raittiuden Ystävät ry is the oldest Finnish organization promoting democracy, Human Rights and public health through a lifestyle free from alcohol and other drugs. 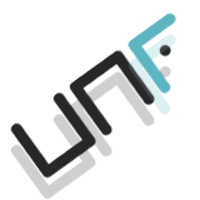 UNF Finland is a youth organisation based in Vaasa, Finland. UNF organises activities and events for young people aged 13-25 years. Among other things; LAN parties, trips, music and dance courses. UNF is politically and religiously independent. Kinder im Mittelpunkt (“Children in Focus”) is the section for child rights work and junior activities of IOGT Germany. 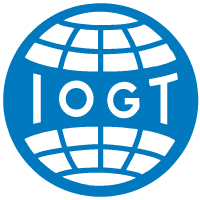 IOGT in Germany had already formed a section for child rights work in 1892, only a few years after its founding and this tradition and commitment to protect, support and empower children – especially those suffering from their parents’ addiction issues – today’s version of KiM was formed in 2003. At KiM, the “little human beings” take center stage. KiM works to support children and youth in their free evolvement development and to enable their personal and social development. 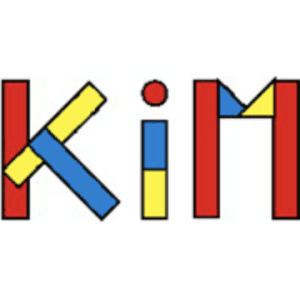 To children all over Germany between the age of 6 and 12 years, KiM’s offers junior groups and contacts, leisure time activities in Germany and abroad as well as the kids’ time “Pünktchen”. In the junior groups, kids can learn and practice tolerance and acceptance towards others; helpfulness and social skills are fostered. The junior groups provide shelter and create a safe and enabling environment for kids. 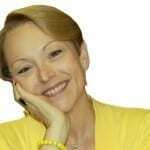 For adults, KiM offers non-formal eduction for kids group leaders and in communication skills. FORUT is the development agency of the German IOGT movement. Since its inception in 1987, FORUT works to address alcohol and other drugs as obstacles to development in Low- and Middle Income Countries, particularly in West Africa. FORUT works to support addiction treatment and recovery programs as well as prevention interventions. Moreover, FORUT works to increase access of children to primary education, running and building schools. Through its work, FORUT addresses the negative consequences of alcohol production and use in deprived communities. To improve the conditions of life, promote Human Rights and to ensure justice in global trade for the most marginalized are the goals of FORUT’s development work. IOGT Germany, the “Guttempler” live free from alcohol and other drugs and promote peace and global solidarity. The Guttemplers, founded in 1889, is the largest religiously independent addiction self-help association in Germany. In 500 local groups across Germany, IOGT runs self-help groups that provide peer support for people in recovery. IOGT Germany also runs an addiction clinic providing treatment and recovery support for people who want to overcome their alcohol and other drug problems. A specific concept is the work with family clubs to support the person with substance abuse problems as well as their closest family members and relatives. IOGT Germany also engages in political work to curb the influence of the alcohol industry on the German political system and raise awareness of the evidence-base for cost-effective alcohol policies. Juvente Germany is a youth organization that promotes solidarity, Human Rights, peace and democracy. Founded in 1997, Juvente organizes seminars, workshops and camps both nationally and internationally. 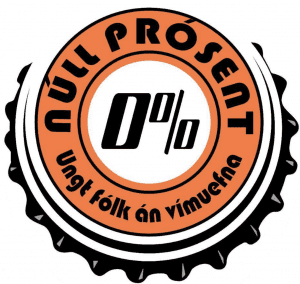 Null Prosent is the youth organizations of the Icelandic IOGT movement. Null Prosent gathers young people between the ages of 14 to 30 years of age and creates an environment free from alcohol and other drugs. Null Prosent works for the prevention of the use of alcohol and other harmful substances and engages in education, awareness raising, advocacy and community empowerment. 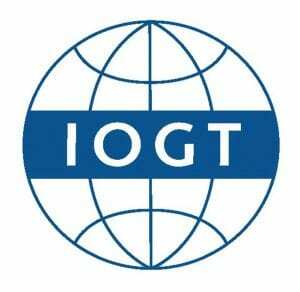 Founded in 1884, IOGT Iceland works with prevention of harmful substances both through political as well as through community work and in addition engages in humanitarian, peace and culture and environmental protection projects. 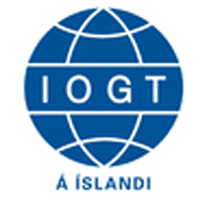 IOGT Iceland is open for all people and the projects and programs aim to empower individuals, support families, strengthen communities and develop society. 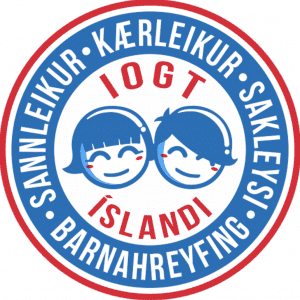 IOGT Junior Iceland is the Children’s Movement of IOGT in Iceland is an independent association of children 6 years of age and older, regardless of age, gender, race, ethnicity, social status, religion or political opinion. IOGT Junior Iceland works to give children and young people the opportunity to develop self-esteem and confidence and to practice leadership and responsibility in an enabling environment where they are encouraged and empowered to follow their ideas and interests to plan and organize events, projects and campaigns. IOGT Junior Iceland works to create environments and facilities for kids to meet and socialize in a safe, enabling and inclusive environment. Associazine Italiana Club Alcologici Territoriali (AICAT) is non-profit for youth in Italy. AICAT’s mission is to create human, social, cultural and spiritual conditions for the promotion of life, health and freedom of people and families with alcohol-related problems, according to the principles and methodology of the Ecological Social Approach (the Hudolini method). AICAT is committed to promoting and coordinating the CAT (Alcoholic Territorial Clubs) activities. 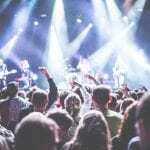 These clubs which are the cornerstone of the Social Ecological Approach and bring together family members and members of the wider community to lend support to each other in recovering from alcohol and other drug problems. The European School of Alcohology and Ecological Psychiatry is a Non-Governamental Association specialised in training professionists and voluntary people involved in the field of alcohol dependency. The School was born with the proposal to provide basic training to those people who wished to operate voluntarily in the Clubs of Alcoholics in Treatment following the philosophy of the Social Ecological Approach. The Ecological approach shows a very important preventive aspects: the aim is to make people aware of alcohol related problems through action of awareness raising not only about the specific individuals but also to their families . The purpose is to change the community and the health culture in the community. In a society extremely permissive towards alcoholic beverages it appears that this type of program has a very positive influence. The Latvian University Temperance and Health Education Promotion Society (LUAVIV) is a student temperance organization. LUAVIV works to promote student life and university environment for healthy and participatory lifestyle without intoxicating and addictive substances involved. The Latvian Youth Temperance Federation (JAF) is a children and youth organization whose purpose is to unite and energize young people living free from alcohol and other drugs by creating a healthy, safe and enabling environment free from alcohol and other drugs. The Lithuanian Temperance Society (Baltu Ainai) works for the prevention use of alcohol and other harmful substances, especially among young people in Lithuania. Baltu Ainai engages in education, awareness raising, advocacy and community empowerment, such as training youth workers and teachers. Baltu Ainai Youth, the Youth Temperance Federation “Descendants of the Balts” works for the prevention of the use of alcohol and other harmful substances, especially among young people in Lithuania. Baltu Ainai engages in education, awareness raising, advocacy and community empowerment, such as training youth workers and teachers. JUBA is part of the Norwegian IOGT movement. 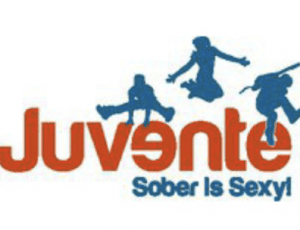 It is a child rights and junior activity organization working to prevent and reduce harm caused by alcohol and other drugs; to empower kids to democratically engage in society; and fostering engagement for a more just distribution of the world’s resources. 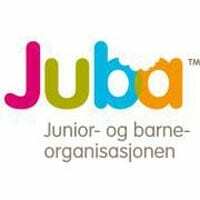 JUBA runs local groups for kids all over Norway and arranges camps, seminars, workshops and projects both for kids, the entire family and to raise awareness of the situation of children growing up with parental alcohol problems. DNT-sober lifestyle was founded in 1859 in Norway. DNT-sober lifestyle works to promote and celebrate the benefits of the alcohol-free lifestyle and their members are role models in that work. Other areas of work are alcohol policy advocacy, prevention and awareness raising – for example with the project “Sports without alcohol” (Idrett Uten Akohol). 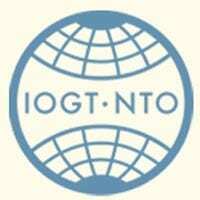 Founded in 1877, IOGT in Norway works for a world where alcohol and other drugs are no longer obstacles for all people to live free, rich and meaningful lives. To achieve this, IOGT in Norway works in many areas: advocating for public policy that reduces consumption and related harms, that influences norms and traditions and that limits the alcohol industry in order to improve the general socio-economic level in society. IOGT works with parents, for children and youth and also conducts development aid work through its special agency FORUT. IOGT also works with families, for example supporting them to deal with and overcome addiction issues. 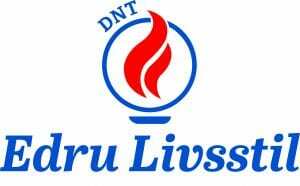 Juvente Norway is a politically and religiously independent youth organization for young Norwegians between 13 and 26 years of age. 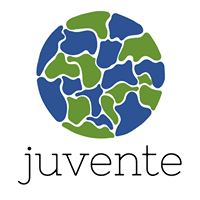 All Juvente activities are for youth and by youth and Juvente gathers young people who want to create a world of human dignity and solidarity, without the hindrance of harmful substances. Juvente works with prevention, policy advocacy, development work as well as the creation of inclusive, safe and fun youth environments all over Norway. Juvente provides young people with a platform and the tools needed to get involved in the questions that young Norwegians care about. Juvente offers young people the opportunity to create, take responsibility for and test leading in organizing exciting events, activities and projects. IOGT Polska is religiously and politically independent and brings together people of different denominations, interests and political views. IOGT in Poland aims to activate children, youth and adults from various social backgrounds and to empower them to develop their passions and interests. IOGT Polska provides help to people struggling with alcohol and other drug problems by providing psychological help as well as life skills training and capacity building. IOGT Polska works to prevent harm caused by alcohol and other drugs among children and youth in one of Europe’s poorest urban areas, Bobrek, in Bytom, Poland. IOGT Polska also runs an innovative prevention program in schools in order to empower critical thinking and autonomous decision-making. The Anti-Alcoholic Portuguese Society (SAAP) is a private institution for social solidary in activity since 1967. Its a non-governamental organization for the prevention of alcohol related problems and suport to the alcoholics in recovering stages. SAAP its one the oldest Portuguese organizations, being also a founder/member of Eurocare, the European organization in defense and for the prevention of alcohol related problems. The aim of the association Dunare.EDU is to promote international cooperation in the field of youth, supporting the involvement of young people in the life of the community and stimulating cooperation activities between countries in the Danube-Black Sea region. Dunare.EDU works with programs on topics such as education, the environment, communication, health and well-being and active citizenship. The Youth Anti-Drug Federation of Russia works to promote a healthy and sober way of life for youth across the Russian Federation. They conduct training seminars for pupils and students on health and wellbeing and community involvement. The Centar za Omladinski Rad (CZOR, Center for Youth Work) is a citizens’ association that has been working in the field of professional, systematic and planned youth work in the Republic of Serbia since 2001, with the aim of community development in general. CZOR recognizes young people as a valuable resource of society and as equal partner in local community development. CZOR as a resource organization works in Serbia, as well as, in the wider Balkan region. CZOR believes that young men and women are socially competent and should have equal opportunities to contribute towards democracy and justice in society, where their voice, rights and needs are acknowledged and recognised at all levels. CZOR’s mission is the development, implementation and promotion of community youth work and youth policy with the aim to improve the status of young men and women, through educational programs focused on their personal and social development, as well as their active participation in society. The Healthy Lifestyle Society of Slovakia works to promote a healthy and sober way of life in rural Slovakia. They conduct yoga classes and workshops on lifestyle related issues. Nezávislá Organizácia Mladých (Independent Youth Organization) is an open, politically and religiously independent non-profit youth organization in Slovakia. NOM works to promote a healthy lifestyle free from alcohol and other drugs. Human dignity, tolerance and peace are the goals that NOM seeks to promote through a healthy and civically engaged lifestyle free from alcohol and other drugs. UNF, the Swedish Youth Temperance Association (Ungdomens Nykterhetsförbund) is an NGO of young people for young people. UNF provides opportunities for youth to development, influence society and simply to spend time with awesome people. UNF is a platform for youth to engage in questions that young Swedes care about. UNF also provides the tools for their members to get involved. All activities, projects, programs and campaigns are created by young people, for young people. In safe, inclusive and enabling environments for young Swedes from all backgrounds and walks of life, UNF provides plenty of opportunity to try and practice to organize events, run campaigns, and take the lead in other youth activities. UNF engages in political work, drug prevention, social work and development aid work. 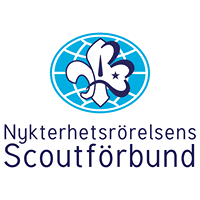 Nykterhetsrörelsens Scoutförbund (NSF) works to prepare young people for life by using drug-free role models and scouting. NSF works for a democratic society with equal opportunities for all to personal development, freedom and participation. In the strive for a better world, NSF members choose a life free from alcohol and other drugs, which place a burden on both individuals and society as a whole and are an obstacle to human development. JUNIS is the junior association of the IOGT-NTO movement in Sweden. JUNIS is a child rights organization that offers environments and activities where children are free to be children. 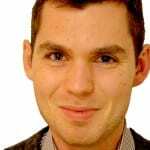 JUNIS runs local clubs across the whole of Sweden and has approximately 12.000 members – kids up to the age of 15 years. In these 200 local clubs, it is the children that have a say and they decide on the activities together with the JUNIS leaders. Activities range from movie watching, dance, to indoor hockey or puzzle. Other clubs do theater plays, cirkus or organize disco and bake evenings. JUNIS also arranges hundreds of camps for children, especially during the summer but also throughout the year. Föreningar i hela landetJunis har ungefär 12 000 medlemmar upp till och med 15 år. De är med i någon av de ca 200 föreningar som finns runt om i hela landet. Founded in 1879 IOGT-NTO is Sweden’s largest temperance movement and is politically and religiously independent. IOGT-NTO’s vision is a society, a world, where alcohol and other drugs don’t hinder human beings from leading a rich and free life. IOGT-NTO works to support and empower people who have or have had alcohol and other drug problems. The organizations also works to raise awareness about the effects on children and young people when adults are using alcohol. Both domestically and internationally, IOGT-NTO supports prevention work to prevent and reduce use of harmful substances. And IOGT-NTO also conducts development aid, supporting grass-roots and community organizations to curb alcohol harm and foster democracy and sustainable development in East Africa, South-East Asia, and the Balkans. IOGT-NTP has 30.000 members who all choose to live life free from alcohol and other drugs. Together they create alcohol-free environments, shatter the alcohol norm in Sweden and empower people to make free choices. Juvente Switzerland is a youth organization that promotes solidarity, Human Rights, peace and democracy. Juvente organizes seminars, workshops and camps both nationally and internationally. Juvente also has a YouTube channel. 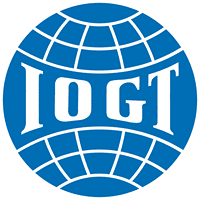 IOGT Schweiz is a Nonprofit-Organization founded in 1892. IOGT is one of the oldest and most experienced civil society organizations in Switzerland working with addition prevention and recovery and social work. 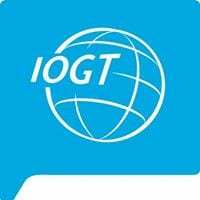 IOGT in Switzerland is a democratic and multi-cultural organization acting locally, regionally, nationally and internationally and with the confidence that joint efforts, based on evidence can succeed in preventing and reducing the problems caused by alcohol and other drugs. IOGT supports children from families with parental alcohol problems. The website www.kopfhoch.ch offers support and advice to children and has more than 5000 visitors per year. IOGT also offers self-help groups in Basel, Zürich and St. Gallen where people suffering from alcohol and other drug problems find help to solve and overcome these issues with peer support and in an understanding and compassionate environment. IOGT is also engaged in development aid work in West Africa. For more than 18 years has IOGT been working with partners in Guinea-Bissau to increase children’s access to school education. Kinder im Mittelpunkt (“Children in Focus”) works to support children and youth in their free evolvement development and to enable their personal and social development. KiM runs the Jugendland (country of youth) kindergarten/ day care center and the help website www.kopfhoch.ch for children with parents who have alcohol problems. The Ukrainian Society for Temperance and Health promotes a lifestyle free from alcohol and other drugs through the example of their own members. The USTH works with the prevention and reduction of harms caused by alcohol and other drugs. 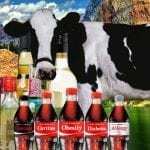 NADIYA promotes a lifestyle free from alcohol and other drugs through the provision of scieitfc evidence of the harms caused by alcohol and other drugs, as well as the effectiveness of approaches, interventions and policy measures to prevent and reduce harm cause by these substances. East London Alcohol And Drug Prevention Movement is an organization working in the field of drug demand reduction. IOGT in the UK promotes a lifestyle free from alcohol and other drugs through the example of their own members.